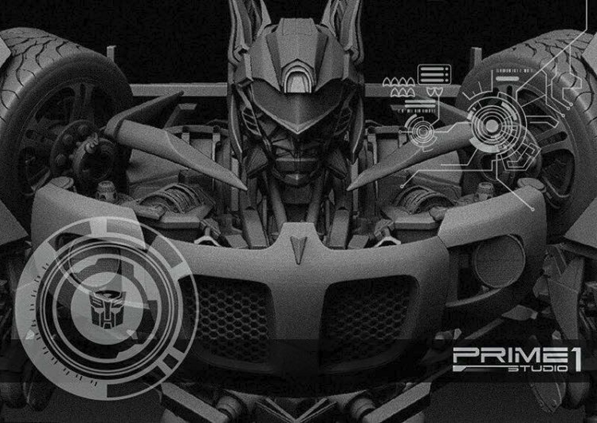 Hot on the heels of their Generation 1 Megatron teaser, high-end statue manufacturer Prime 1 Studio has released the first image of their 2007 Transformers Movie Jazz. This is the most current addition to their wildly well-received Movie Masterline series, featuring many of the characters from the Bay-verse. No information on the price or release date of this figure as of yet, but stay tuned as we will report details as they become available. The post Prime 1 Studio Transformers Movie Jazz Teaser Image appeared first on Transformer World 2005 - TFW2005.COM. When the announcement came for the roll out of Machinima‘s Transformers: Combiner Wars, one the first questions asked by the fans was whether it will be available internationally. It’s a fair question since the announcement stated that go90 is the platform of choice for the series. go90 is a United States only streaming service available on both Android and iOS. If an international user got the chance to access the app, he or she will be greeted with the message “Sorry! Go90 is only available in the US right now. So sadz, we know” (Seriously, not kidding. That’s the message. » Continue Reading. The post Machinima’s Transformers: Combiner Wars Animated Series To Be Available Internationally appeared first on Transformer World 2005 - TFW2005.COM. Friend of TFW Venksta has just announced some new Renderform upgrade kits for the Combiner Wars Combaticons! Firstly, we have a Blast Off upgrade kit, featuring a G1-inspired head sculpt and gun. 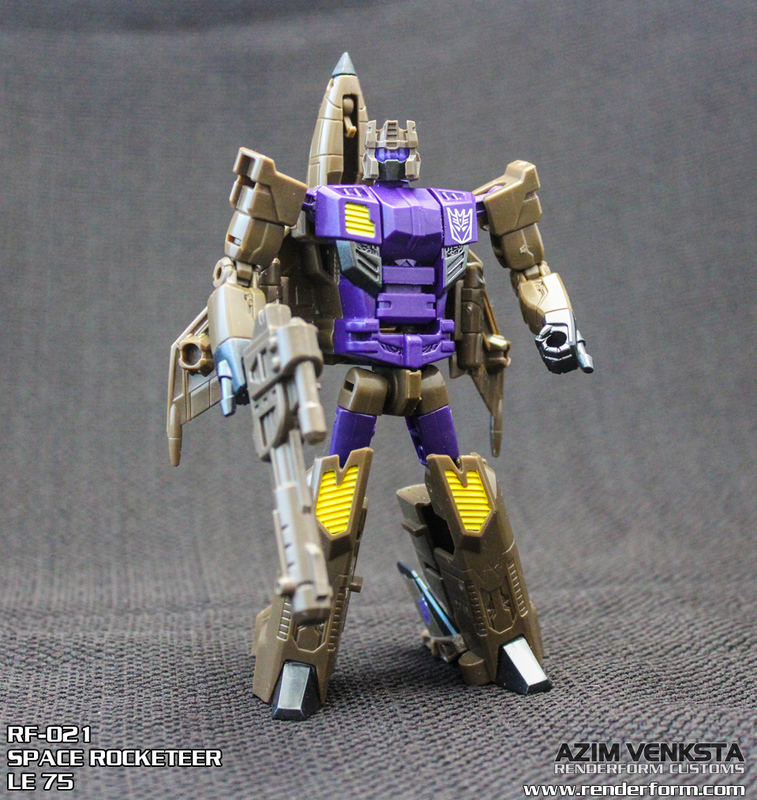 The head features a light-piped purple visor and metallic faceplate, perfect for those unsatisfied with Combiner Wars Blast Off’s unchanged Slingshot head. This will be limited to a run of 75 kits only, save for a small run for the upcoming G2 version. Secondly is a weapon set for Swindle, Brawl, and Vortex, again taking inspiration from their G1 weaponry. Swindle gains his large arm cannon now, designed » Continue Reading. The post Renderform Combiner Wars Combaticons Part 1: Blastoff Upgrade & Deluxe Weapons Set appeared first on Transformer World 2005 - TFW2005.COM. iTunes has now updated with the brief preview for IDW‘s Transformers #52, the second part of All Hail Optimus, due out in two weeks on April 20th. “Transformers #52 ALL HAIL OPTIMUS part 3! OPTIMUS PRIME has declared the Earth to be his territory… but even he can’t go it alone. Now he reaches out across the galaxy to form a coalition—of old friends and older enemies.” Check it out after the jump if you’re not averse to potential spoilers! The post IDW Transformers #52 iTunes Preview appeared first on Transformer World 2005 - TFW2005.COM. 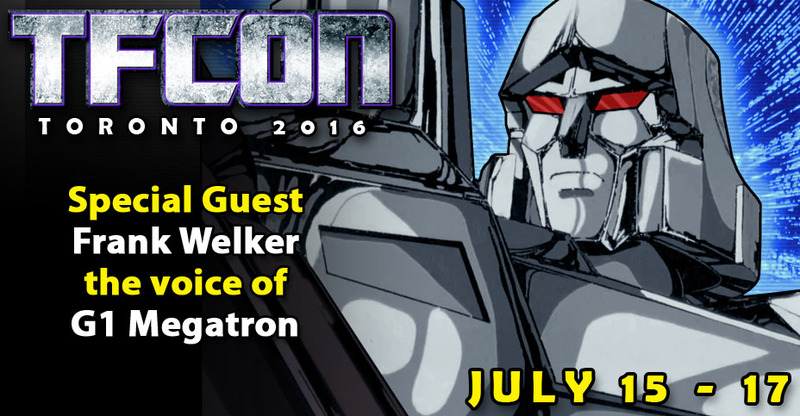 Advance tickets for TFcon Toronto 2016 are now on sale. You can reserve your chance to meet Frank Welker at this time. Mr. Welker will be doing 2 meet and greets on the Saturday of TFcon, exact times are TBA, but each session will be limited to 125 fans. For more info please visit http://www.tfcon.ca/admission-registration-ticket-information TFcon Toronto 2016 will take place July 15-17 at the Hilton Mississauga/Meadowvale with special guests FRANK WELKER the voice of G1 Megatron, IAN JAMES CORLETT the voice of Cheetor in Beast Wars and Transformers artist Brendan Cahill with many more to be announced. Online booking for the <a href="http://www.tfcon.ca/2016-hotel-information" » Continue Reading. The post TFcon Toronto 2016 Registration Now Online appeared first on Transformer World 2005 - TFW2005.COM. Our first bit of Botcon news comes in this morning thanks to the BotCon Twitter feed. The custom class figure for 2016 is Combiner Wars Deluxe Ratchet based off the Combiner Wars Deluxe First Aid. 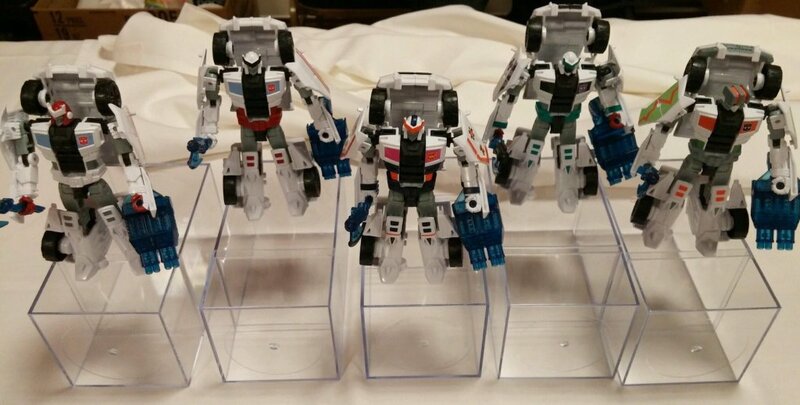 Attending customizers will actually have a chose of five different versions using different sticker sets, specifically four different Ratchet builds and a Medix option. Ratchet is exclusive to the custom class, as well s a small number of built and unpainted version from the club store. Keep your eyes on the front page as more news from Botcon rolls in over the next few days. The post Botcon 2016 Custom Class Figure Revealed appeared first on Transformer World 2005 - TFW2005.COM. Comic Artist Matt Frank has shared another print he has worked on just in time for Botcon 2016. 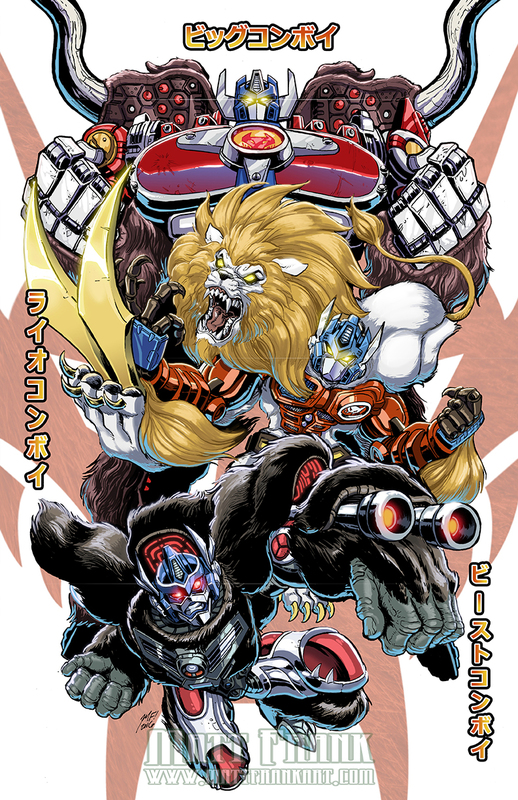 This one features his signature style with three heroically posed Convoys from three different Beast Wars shows: Big Convoy from Beast Wars Neo, Lio Convoy from Beast Wars II, and Beast Convoy (Optimus Primal) from the original Beast Wars. For those attending this year’s Botcon, be sure to take some time to head over to the Artist Alley to check out this and the 20th Anniversary print at Matt Frank’s table. You can take a look at the full image after » Continue Reading. The post Beast Convoys Print by Matt Frank for Botcon 2016 appeared first on Transformer World 2005 - TFW2005.COM. 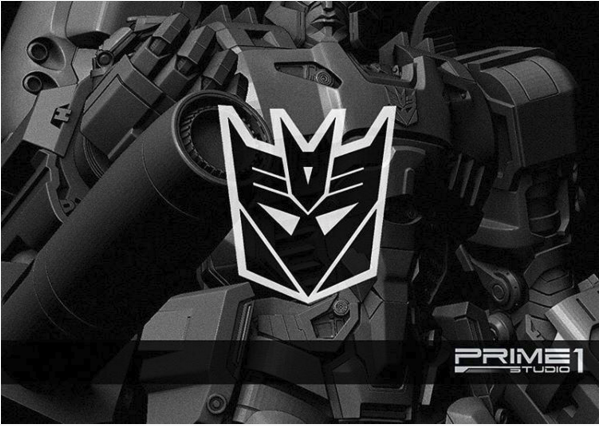 Prime 1 Studio posted on Instagram a teaser image of their upcoming Generation 1 Megatron. The image features the emperor of destruction in a menacing pose holding up the iconic fusion cannon. Prime 1 has continue to show off work in progress images in their stylized Generation 1 line designed by Josh Nizzi. 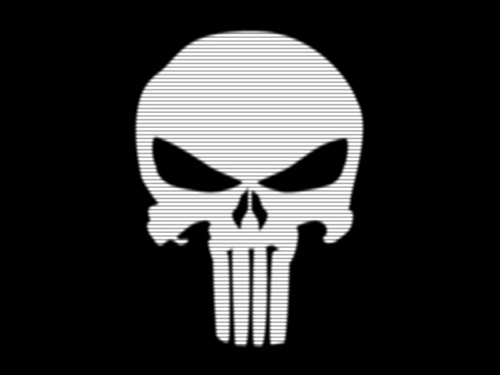 You can check out previous teasers we reported here and here. No information on the price or release date on this figure is yet, but stay tune to this space when we report them as they become available. The post Prime 1 Studio Generations 1 Megatron Teaser Image appeared first on Transformer World 2005 - TFW2005.COM. Hot off the release of MP-29 Laserwave, TakaraTomy has announced the next entry of their Masterpiece toy line, MP-14+ Alert Anime Color Edition. 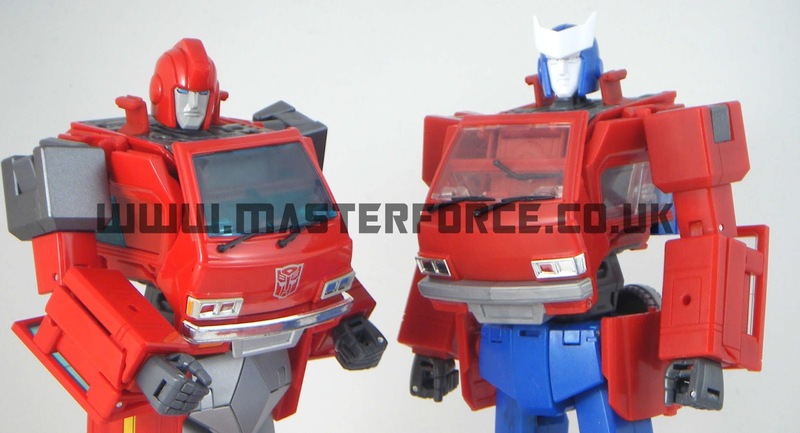 As its name suggest, this version of Masterpiece Red Alert will be paint in a color scheme much closer to the character’s on screen appearance. The most telling difference between the two versions is the off-white paint replacing the pure white seen on the original release. The silver on the rims, weapon and robot mode feet will also be replaced by that off-white color. Lastly, the accessory part used for emulating “Circuit Trouble” will be molded » Continue Reading. The post TakaraTomy Masterpiece MP-14+ Alert Anime Color Edition appeared first on Transformer World 2005 - TFW2005.COM. Combiner Wars Deluxe Groove – part of a 2016 May Mayhem event? We’ve reported on the fact that a Combiner Wars Deluxe class Groove has been released in Taiwan as a Toys R Us exclusive – and off the back of that, auctions and other listings have been popping up all over the show. One particularly notable one is right here, which shows a shipping case for Deluxe Groove. If you look at the shipping case, you’ll see it is labelled “May Mayhem”. 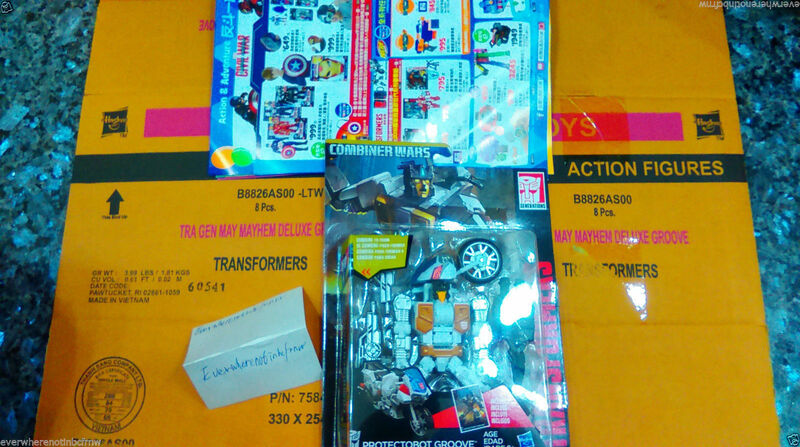 May Mayhem was an event held in May 2015 where Combiner Wars Deluxe Quickslinger and Break-Neck were released as online exclusives. Since the handful of online vendors who’ve » Continue Reading. The post Combiner Wars Deluxe Groove – part of a 2016 May Mayhem event? appeared first on Transformer World 2005 - TFW2005.COM. Thanks to TFW2005 member UltraAlanMagnus for sharing with us a Transformers: Rescue Bots commercial for two back-to-back season premiere epsidoes. It seems that a new Autobot will be appearing in the show’s next episodes. 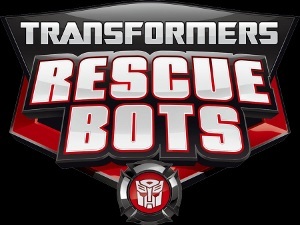 The first new episodes for the fourth season of Transformers: Rescue Bots will air on Saturday, April 23 on Discovery Family at 8 AM ET. Check out the video in the link provided above! The post Transformers: Rescue Bots Season 4 Premiere Commercial appeared first on Transformer World 2005 - TFW2005.COM. Hasbro is currently attending the MIPTV Conference 2016 in France along with Machinima to promote their upcoming shows. Last year we heard about the possible series length of the Transformers: Robots In Disguise series during the same conference and this year the spotlight is on Transformers: Combiner Wars. Thanks to Flickering Myth, we have a transcript of the Digital Fronts session held yesterday. The series will consist of 8 episodes and will debut in July. 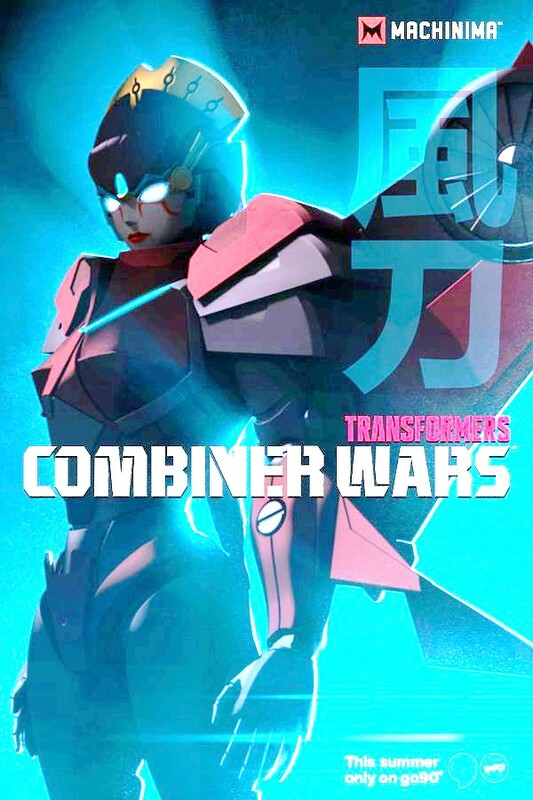 Series Summary (Possible Spoilers): Taking place 40 years after the great war on Earth, Transformers: Combiner Wars introduces new lore and all-new characters that, » Continue Reading. The post More Details From Machinima’s Transformers: Combiner Wars Series Revealed appeared first on Transformer World 2005 - TFW2005.COM. Few hours ago we posted a news regarding a new cross promotion campaign by Hasbro and Xiaomi in China. The campaign features a $20 transforming Xiaomi Mi Pad 2 which transforms to Decepticon Soundwave. Weibo user Starscream and AC Toys user Toys2016 is giving us our first In-Hand Images and a Pictorial Review of the toy. Xiomi Soundwave even comes with a transforming minion and a transforming weapon and a shield which certainly adds a good value for the price tag. Thanks to a comparison pic, the new toy is measured about shoulder height of MP Soundwave. We’ve mirrored some of » Continue Reading. The post In-Hand Images And Pictorial Review Of Xiaomi Mi Pad 2 Soundwave appeared first on Transformer World 2005 - TFW2005.COM. masterforceuk.blogspot has uploaded a great set of photos showing Masterpiece Ratchet in its prototype form. This set of images is interesting because it shows what parts were retooled on Ratchet from the Ironhide version indicated by the blue portions of the toy. Seeing images like these provide a great look at the various design stages not often seen by fans and collectors. Also pictured here is what looks like a Masterpiece Tracks prototype. Earlier in February, we covered a prototype story featuring Tracks as well, so maybe we’ll be seeing more Masterpiece prototypes in the future. Feel free to discuss » Continue Reading. The post Masterpiece Ratchet Early Prototype Images appeared first on Transformer World 2005 - TFW2005.COM. Vangelus and Seth pop out a quickie in the first four-hundreds foray, rife with Computicon and absolutely no Wrestlemania. It hadn’t happened yet. You can download and comment on it here: WTF @ TFW – Episode 401 If you use iTunes and regularly subscribe to podcasts, you can add us to your player and have the software download each episode automatically each time we update. To do that, and give us a reviews on iTunes, click here: Transformers Podcast on iTunes. The post WTF @ TFW Episode 401 Now Online appeared first on Transformer World 2005 - TFW2005.COM. Xiaomi is currently the biggest Mobile Device Brand in China. It’s so powerful that Xiaomi toppled Apple from the top spot in China to become the mobile device of choice of the Chinese people last August. 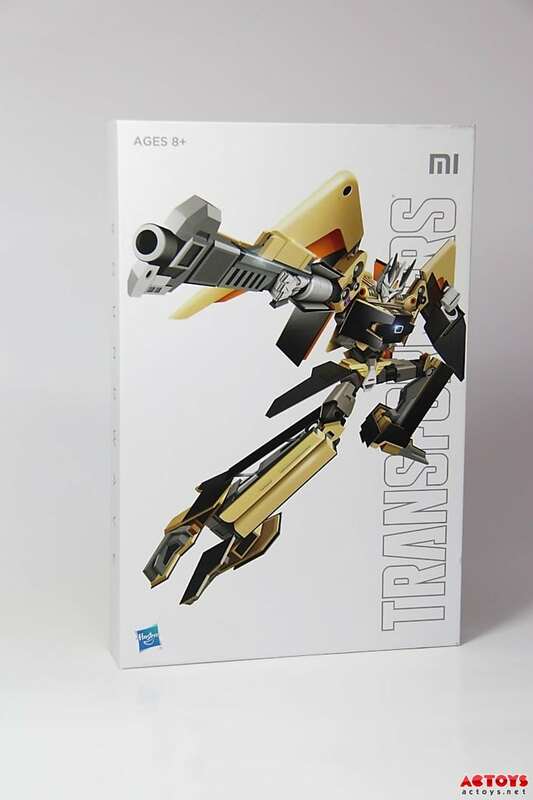 Xiaomi’s Vice President Hugo Barra informed us today of a new venture between the company and Hasbro to promote both Xiaomi products and Transformers. 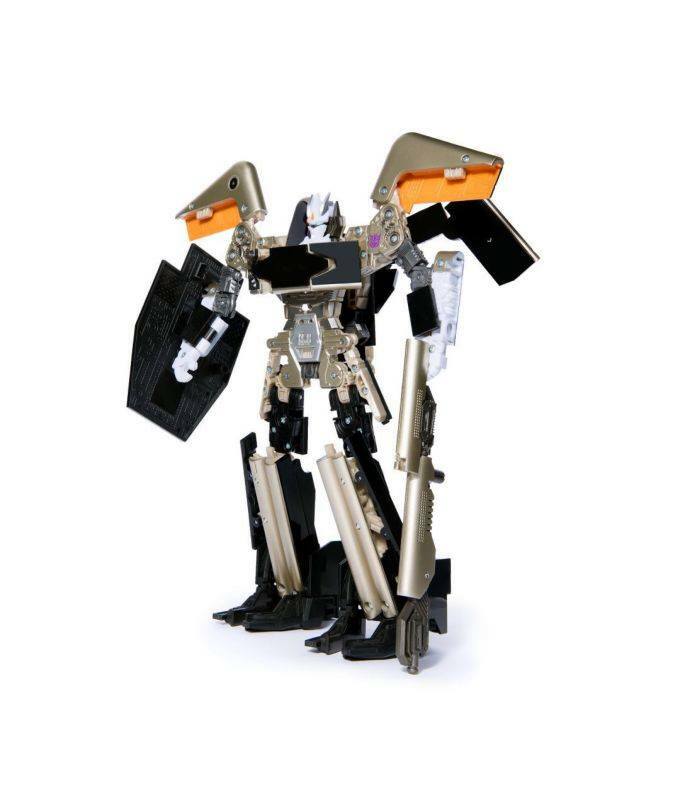 The toy (known as Soundwave) will be shipped from China on May 13th and is prices at US$ 20. “Xiaomi and Hasbro are collaborating for the first time crowdfunding a kickass robot model named Soundwave in China. Instead of a » Continue Reading. The post Xiaomi And Hasbro Team Up To Bring A New Cross Promotion Campaign In China appeared first on Transformer World 2005 - TFW2005.COM. 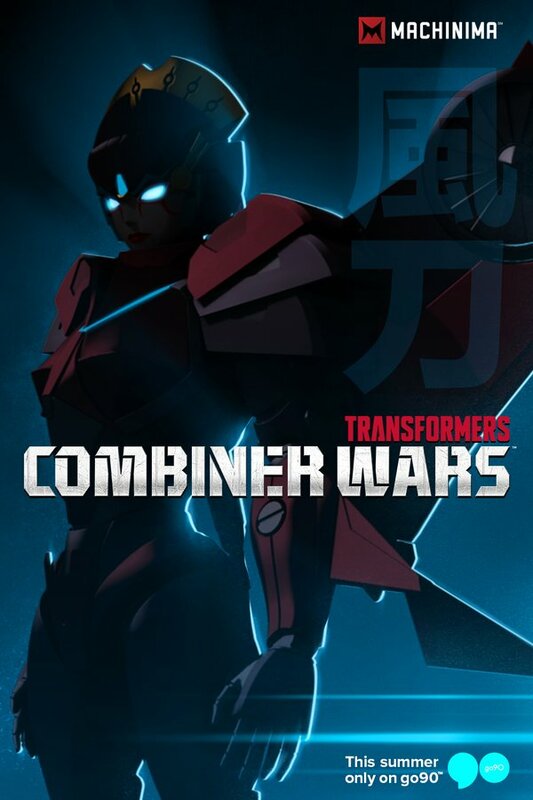 Machinima‘s official Twitter account has given us a small update on their upcoming Transformers: Combiner Wars web cartoon, namely that it will be airing this Summer on Go90 – finally letting us know a timeframe as to when it will be arriving. In addition, they’ve also provided a teaser image of Windblade, who has been said to play an important part in the show. Not a whole lot can be seen unfortunately, though it does give a small indication as to what the cartoon’s animation style will look like. Hopefully we’ll be hearing more about the show at » Continue Reading. The post Machinima’s Transformers: Combiner Wars Cartoon Comes to Go90 this Summer appeared first on Transformer World 2005 - TFW2005.COM. Dealer registration is now available for TFcon Chicago 2016. For those of you that were looking to sell at America’s largest fan-run Transformers convention now is the time to book, you can contact us now to reserve your space. Exhibitors from TFcon Chicago 2014 and TFcon Charlotte will automatically receive registration info emailed to them. Registration for attendees will be available in the near future. TFcon is happy to welcome the voice of Generation 1 Grimlock Gregg Berger to TFcon Chicago 2016. He also voiced Skyfire (Jetfire), Long Haul and Outback in the same series. He then returned » Continue Reading. The post Dealer registration for TFcon Chicago 2016 now available appeared first on Transformer World 2005 - TFW2005.COM. TFW2005 friend and sponsor TFsource just sent over their latest SourceNews! MP-29 Masterpiece Shockwave Instock! 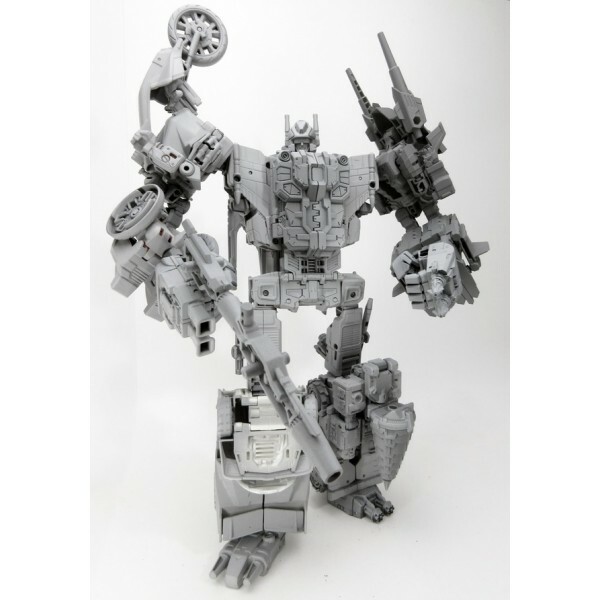 MP-32 Optimus Primal for preorder, new TransFormMission and more below! NEW HOT IN STOCK ITEMS: – MP-29 Masterpiece Shockwave – Xtransbots – MX-I Apollyon – 2nd Production Run – Ocular Max – Perfection Series – PS-01A Sphinx Alternative– War in Pocket – X07 X-12 Hulkie – Set of 6 Figures – Reformatted – R-13 – Spartan – Perfect Effect <a href="http://news.tfw2005.com/2016/04/04/tfsource-sourcenews-april-4-2016-312432">» Continue Reading. The post TFsource SourceNews For April 4, 2016 appeared first on Transformer World 2005 - TFW2005.COM. New Takara Unite Warriors Computron Prototype Image! And finally, to round off our stock photo blitz this morning we have for you a new prototype image of Takara‘s upcoming and highly-anticipated Unite Warriors Computron figure! Hisashi Yuki has been treating us over the last few days to some great looks at the individual Technobots, but this gives us possibly our best look yet at the big guy himself. His brand new combiner mode head, chest and gun are on full display here, along with all the other visual differences the changes made to the other Technobots entail. Check it out, and get your preorders in at our » Continue Reading. The post New Takara Unite Warriors Computron Prototype Image! appeared first on Transformer World 2005 - TFW2005.COM.